1. 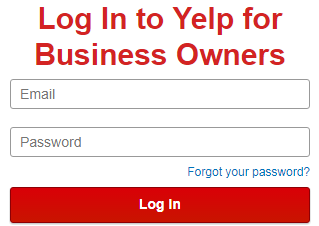 Log in to your Yelp account by going to http://biz.yelp.com. 2. Go to your Account Settings at the top of the page. 3. Click Share access to this business. 4. Click the Invite a User button. 5. 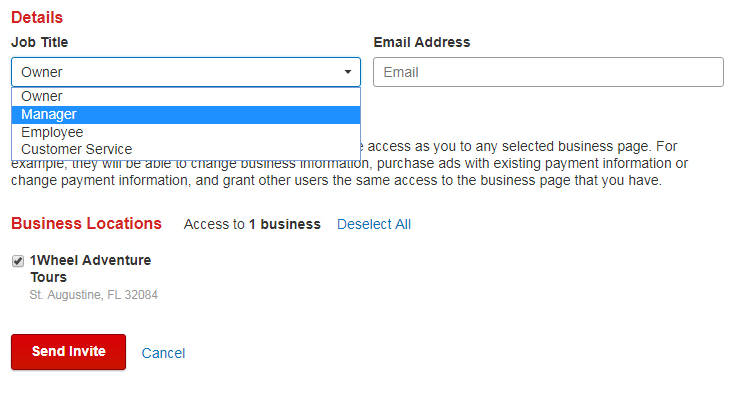 Input the email that you are inviting, choose the Job Title for the user, and select which business you would like to give them access to by checking the box next to the business. To add Web.com as a manager input YelpManagement@web.com as the Email Address. 6. When finished, select Send Invite. The user is added to your Management list and an invitation is sent to their email.